First designPH 1.0.6 patch released! Join designPH at the 2014 International Passive House Conference! In between the presentations we are awaiting you for a small talk and/or some questions at our designPH-exhibition stand 1.9 at the ground floor. 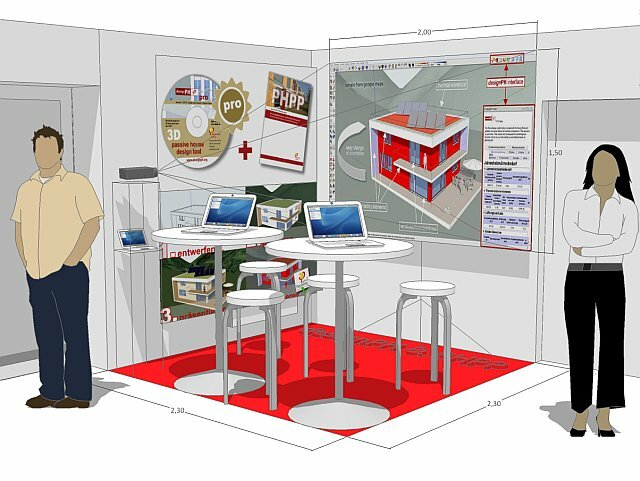 designPH at the 2014 International Passive House Conference! Dave, Elisabeth and Harald are looking forward to welcome you to the exhibition! You will find us opposite to the PHI-main exhibition stand 1.9 at the ground floor.